A range hood is the decorative product that covers the vent/fan system above your stove top. Our range hoods are available in cast stone and natural stone such as limestone and marble. The range hood serves as a unifying centerpiece in the kitchen to blend all designs elements of the kitchen. Adding a range hood to your kitchen is a great way to remodel your kitchen and add value to your home. 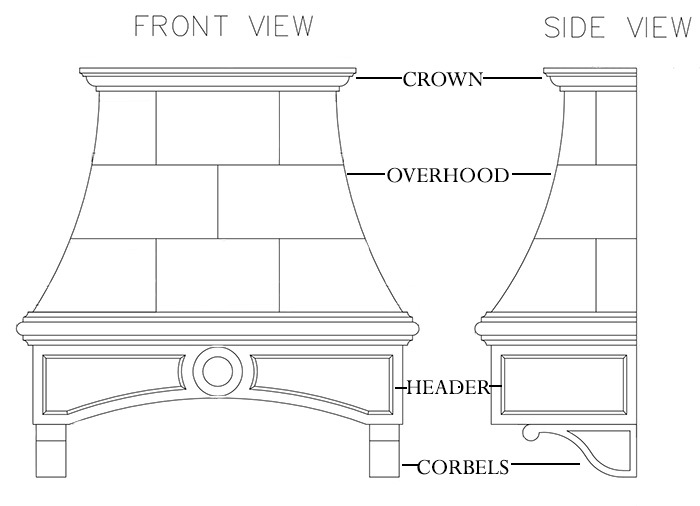 The range hood parts are broken down into sections called the crown, overhood, header, and corbels. All of our kitchen hoods are available in custom dimensions.We manufacture each hood to your specifications. The range hood can be adjusted to fit 8′ ceilings and up. 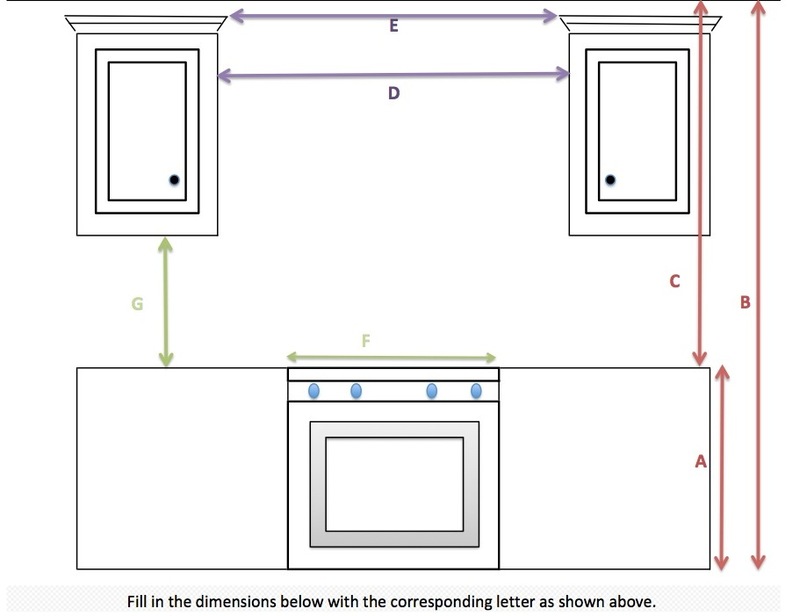 Some of the range hood models contain a crown which ranges in height between 3-7″ high. The overhood covers the ventilation system for the fan. If your ventilation fan is exhausted through the ceiling, the range hood can be made to reach the top of the ceiling. The header houses the fan over the cooktop. In some models the header of the cast stone or natural limestone, marble hood contains a keystone or decorative medallion. These options can be removed or adjusted on some models. Both the overhood and header are availables in several style options including arched, straight edge, recessed or sloping. The corbels can serve as decoration or additional support for the range hood.